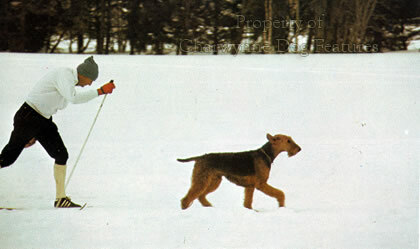 We live in times that threaten the very future of our sporting terrier breeds. This means that without a dedicated, selfless, knowledgeable group of fanciers to safeguard its future, many a breed will be lost to us. Sporting terrier breeds will only survive because their survival has sound custodianship - and their ability to move soundly, a basic need for any animal, is ensured. 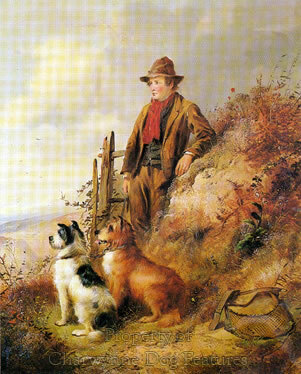 In emergent breeds, like the Plummer and the Sporting Lucas Terrier, breeders have a golden opportunity to breed working terriers that could be envied the world over; others are departing from soundness, now is the time to breed for the breed and not the bank balance, establish the basis of a breed that respects its own Breed Standard (and ensure that dogs lacking working instincts are not bred from). Any fool can breed cute little dogs resembling tail-less squirrels or white-coated Yorkies - fit only for the sofa. 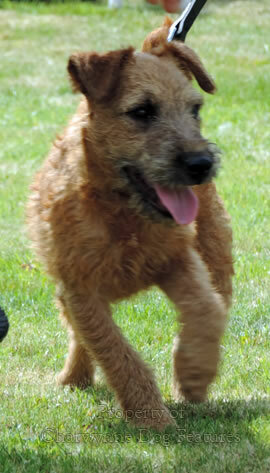 Breeding a real working terrier is surely a joyful challenge: does it want to work? does it have the anatomy that allows it to work? Small dogs with short legs, just as much as bigger, leggier dogs, need sound construction to lead a healthy, happy life. 'Stepping short' on the parade ground is a deliberately artificial movement and a surprisingly tiring one; stepping short for a small dog too should be regarded as artificial, unnatural and undesired. All dogs can only move with the construction bestowed upon them by their fanciers and breeders. But I suspect, with some sadness, that breeders will continue to do their own thing whatever the effect on the dog. If you accept that movement is a manifestation of sound anatomy, why are poor movers tolerated in the ring? When I watch the judging even at working terrier shows, I still see weak pasterns, turned out toes and loose elbows up front, and cow hocks, bowed hocks, and too close or too wide a hind action. Poor shoulder placement and straight stifles and hocks are the cause of much poor movement in working terriers. Sound construction provides an action that is free, with appreciable but not long strides, parallel at both ends - showing the pads of the hind feet, with obvious drive from the hocks, a level topline - retained on the move - with the tail carried high, a determined carriage of the head and a definite air of assertiveness. Unless the head is carried high, the appropriate muscles will not be able to pull the upper arm and then the whole foreleg forward to its full extent. Judges need to watch a dog moving across and then towards them and establish that the two forelegs are being brought well forward from the shoulders and the elbows. Any dog that 'marks time' is incorrectly constructed. Insufficient angulation between the pelvis and the spine, high placed hocks and straight stifles contribute to a short back stride and can be detected from a stilted action. But if that stilted action is actually admired, the fault is surely condoned. A canny judge will ask for small dogs to be moved slowly so that the true quality of the gait can be revealed, but this does demand exhibits trained for the ring. A jaunty carriage, a blur of limbs moving at high speed and a perky determination from a small dog in the show ring often brings undeserved admiration - unfailingly from the fawning uncritical TV commentators at Crufts. 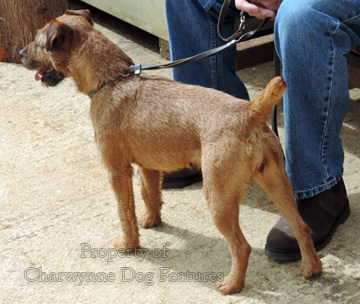 Most very small pedigree breeds that I see in the show ring display poor movement, usually stepping short in front with little forward reach and lacking any power from their lower hind quarters. Once judges regard and then accept such limited movement as characteristic then an inbred fault is on the way to becoming sealed in the gene-pool. That is very bad news for sporting terriers. I can understand, without supporting, poor movement in Toy breeds being condoned, so many have anatomical designs which create such an undesirable manifestation, but unsound movement in small terriers is worrying. These are sporting breeds. The sporting terrier is part of Britain's great sporting heritage and even the smallest of them must be a real terrier, in build and in attitude. Exhibits from any sporting breed should be disqualified in the ring for poor movement - it's a minimum requirement. 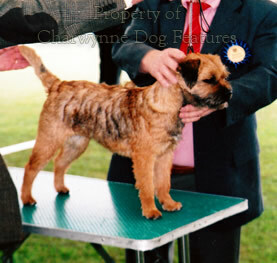 But what are KC-show judges saying about movement in the terrier breeds in their critiques? 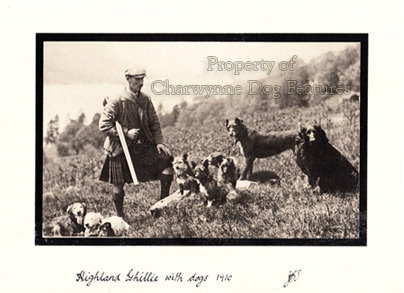 Here are some from the recent past: Border Terriers - "Movement is still a problem..."; Border Terriers (at Crufts) - "Sadly, movement left much to be desired..."; Dandie Dinmont Terriers - "Hind movement in some was very bad..."; and from Crufts too - Airedale Terriers: "Movement is shocking..."; Sealyham Terriers: "I found...bad hind movement." The Crufts' reports are the most worrying, for how do exhibits which display poor movement actually qualify for the top show? Who would want to breed from such dogs? But they are bred from and spread their faults much wider. Who are the allegedly skilled breeders, breeding to the standard, who are producing these dogs with such unsatisfactory movement? Are they judges as well? Who is going to put this right?